Popular Dalkhai dancer Gurubari Mirdha passed away on Thursday night. She was 70 and was living in her native village Bandpali of Bijepur block under Bargarh district. Gurubari Mirdha shot to limelight at the age of 16 when she made former Prime Minister Indira Gandhi dance to the beats of the Sambalpuri folk dance back in 1968. 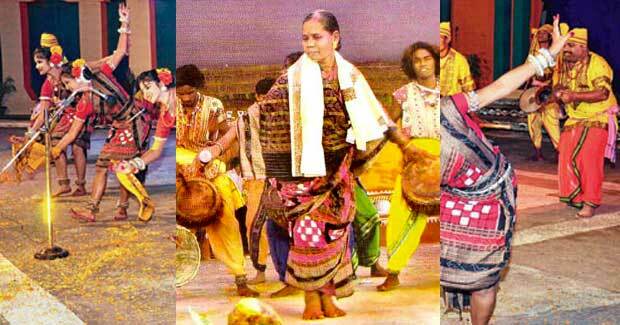 Her contribution to popularise Sambalpuri and Dalkahi dance all over the country had made her a living legend in many ways. She also kept common people spellbound as well as the dignitaries of the nation, when she was on the stage. During her lifetime, Gurubari had received numerous awards and citations from organisations like the Orissa Sangeet Natak Akademi, Adivasi Bhasa Sanskruti Academy, Mathkhai Utsav, Balangir and Lok Mahotsav, Sambalpur. She had also staged numerous performances on Doordarsan. Despite the popularity, she lived in poverty with her husband, who worked as a daily wager. Poverty was so acute for her that she was allotted an Indira Awas house which remains incomplete till date. Knowing her miserable financial condition, some NRIs wanted to help her but that couldn’t be possible as she was out of her village to work as wage earner outside the state. Her sick husband also suffers due to old age ailments. It was because of the benevolent villagers that this poor couple were sustaining themselves. And at her demise, the entire artist fraternity and people expressed deep condolence.